I’ve only seen it once but I believe it is a regular practice. 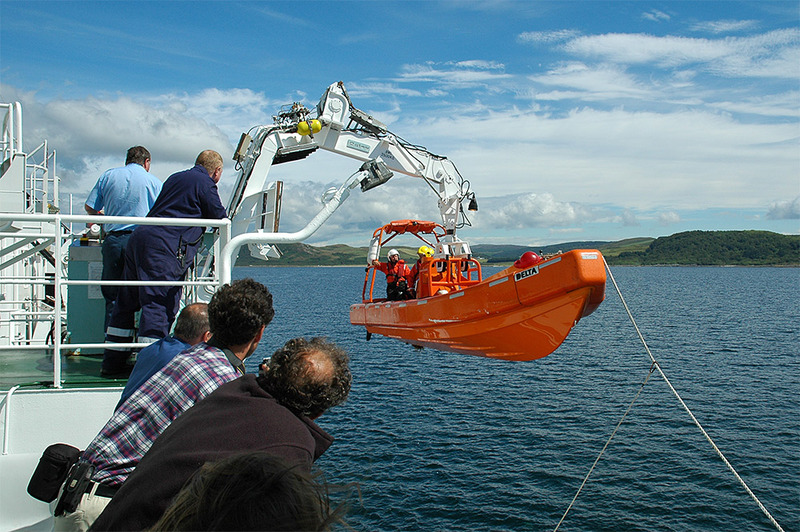 This is the Fast Rescue Craft being lifted up after an exercise in West Loch Tarbert by the Islay ferry MV Hebridean Isles. Update/correction: Originally I had described the boat as a tender, the correct term is Fast Rescue Craft. Thanks to Jim MacLean for the correction. This entry was posted in Landscape, Mainland journey, New Post, Sea Loch, Sunny Weather and tagged ferry, MV Hebridean Isles, West Loch Tarbert by Armin Grewe. Bookmark the permalink.